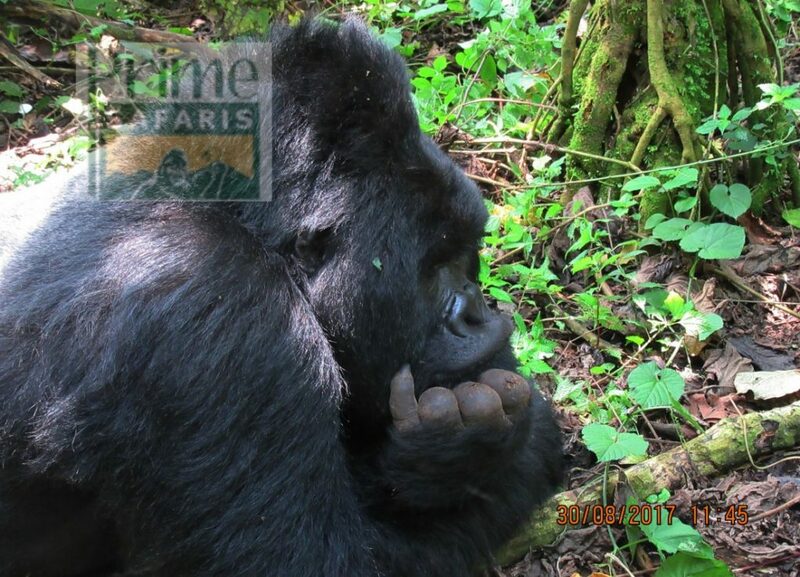 The 16 Days Uganda Primate, Wildlife, Adventure and Culture Safari is one of the comprehensive safari packages in Uganda that give you n opportunity to explore the Pearl of Africa with ease. The safari takes to Murchison Falls National Park for the African Big five and the Murchison Falls – the world’s powerful waterfall exploration, Kibale National Park – the home of Chimpanzees, Rwenzori and Virunga Mountains for adventure mountain hiking, Queen Elizabeth and Lake Mburo National Park for more wild game. The recreational encounter at Lake Bunyonyi also adds spice to the magical experience. After breakfast, gather at Kanyanchu Tourism Center to catch up for chimpanzee trekking briefing commencing at 8am. The briefing is conducted by the Park rangers and can last about 30 minutes after which you head to the jungle in search of the man’s closest cousin – the Chimpanzee. Besides the chimpanzees, Kibale National Park supports a count of 12 other species of primate including the Black and White colobus Monkeys, the Blue tailed Monkeys, L’Hoest’s Monkeys, the Olive Baboons among others. The Park also features a count of 371 impressive tree species among which include the Warbughia Ugandensis and Parinari exelsa among other lovely flora. Kibale is a home to 375 species of birds including the Green-breasted Pitta, Black Bee-eater, Crowned Eagle, Western Nicator, Little Greenbul, Red-chested Owlet, Yellow-rumped Tinkerbird, African Grey Parrot, Blue-breasted Kingfisher and Brown-chested Alethe among other species. All these are at your disposal to explore once you are in the Chimpanzee forest. 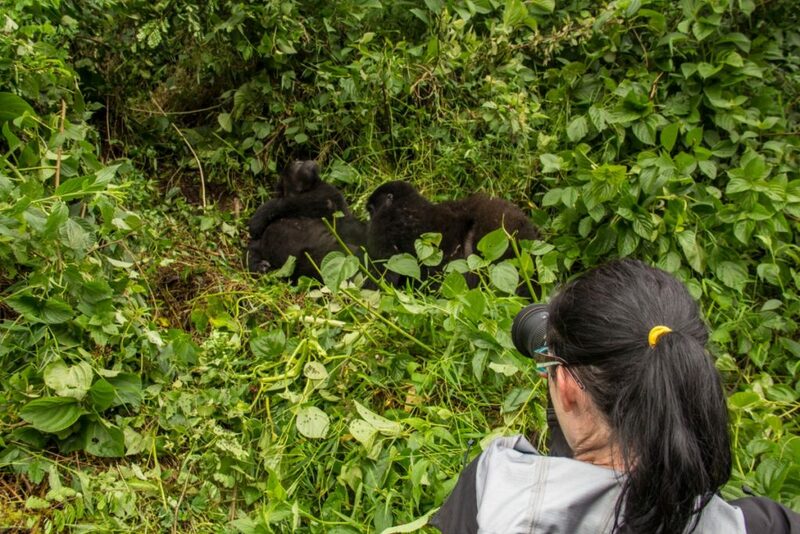 The Chimpanzee trekking tend to take 2 – 5 hours where you have opportunities to explore the Chimpanzees feeding, copulating, patrolling, make pant hooting calls among other interesting aspects about this brilliant apes. The viewing experience is limited to one hour for purposes of conservation after which you return to the starting point to enjoy your packed lunch. 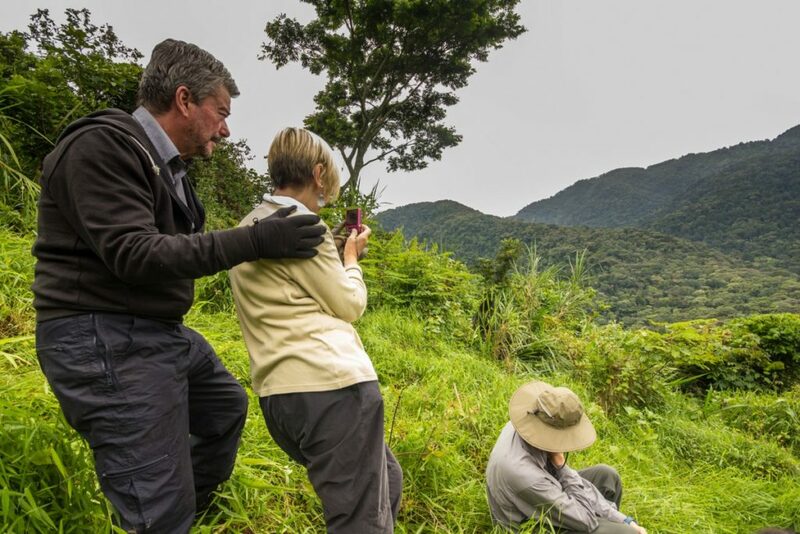 In the afternoon, you connect to Bigodi wetland for a thrilling wetland walk to stand chances of exploring the sanctuary’s lush flora, the 138 bird species including the Great Blue Turaco and the swamp wildlife like the Sitatunga. The walk can be extended to explore the community including the home of the traditional healer after which you connect to lodge for relaxation, dinner and overnight. Following breakfast at the lodge, you embark on the drive to Semliki National Park 78km from Kibale about 2 hours drive. You are fronted by the scenic Rwenzori Mountain as you drive to Semliki. 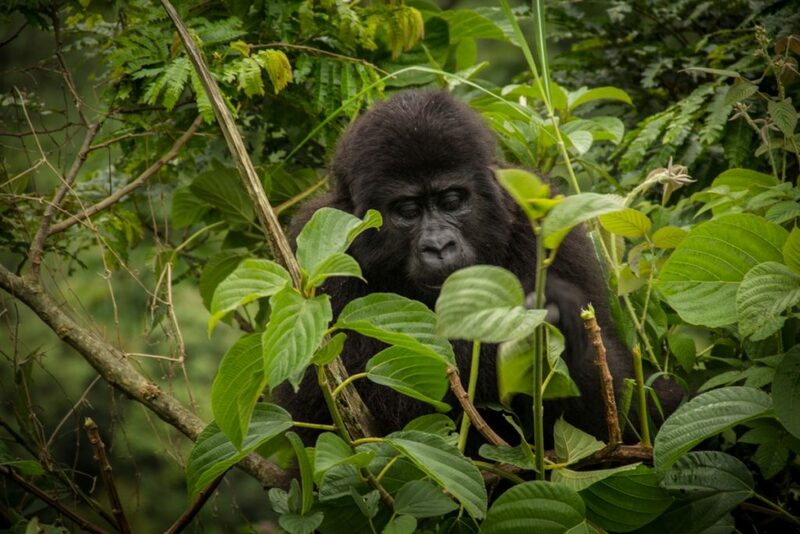 Upon arriving, you embark on the Semliki Nature walk traversing the lush jungle of Semliki which is a combination of East Africa and West African jungle with lovely flora, fauna including primates like Black and white colobus and counts of birds. The Sempaya hot springs are a magical wonder of their own. The female hot spring Nyansimbi and the male hot spring Bitente are thrilling to the encounter. The water at the female hit spring boil to over 100 degrees Celsius and can sprout to up to 2m high. You can boil some plantains and eggs for picnic experience. 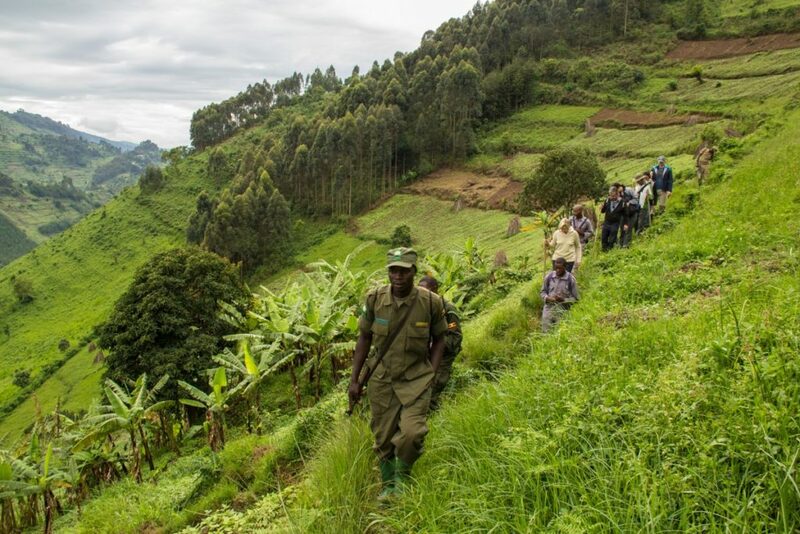 The walk do not exceed 4 hours after which you retreat to the starting point and drive back to Fort Portal for lunch. In the afternoon, you embark on the tour to the Amabere Caves. The Amabere are breast-like features with milky substance oozing from them to the ground. They are believed to be breasts of Nnyinamwiru the famous daughter of Bukuku who was a self enthroned King of the Bachwezi and tried to prevent her daughter from getting in contact with men as he had been foretold that the daughter’s child will overthrow him. After listening to the story attached to these caves and enjoying the beautiful Nyakasura falls, you embark on the hike to the Fort Portal Crater field surrounded by the magic explosion crater lakes including Kigere among others. The summit of Kyeganywa hill offers all round views of the area and the snow caped Rwenzori Mountains at a distance. Retreat from the experience and transfer to Fort Portal for relaxation, dinner and overnight. Following a relaxed breakfast at your lodge, you embark on the transfer to Kasese on the foot hills of the mountains of the moon. This is day is dedicated to your encounter with the local people, the local developments that will enable you understand their way of life in detail. You make a stop at Bunyangabu bee keepers to explore the local bee keeping process and the range of products that are extracted from them including the wax candles. You proceed to visit the Rwenzori Art foundation – the only bronze casting center in Africa. Where a range of sculptures are viewed in the gallery and you can even participate in the casting process. This is an experiential touch that will form an exciting part of your tour. From the art foundation, you embark on the Ruboni Community exploration. Ruboni Community is a home to the Bakonjo that have lived in this place for over 300 years back. You explore the local way of life, the black smith, local housing, art and craft and music dance and drama. Retire for relaxation, dinner and overnight.